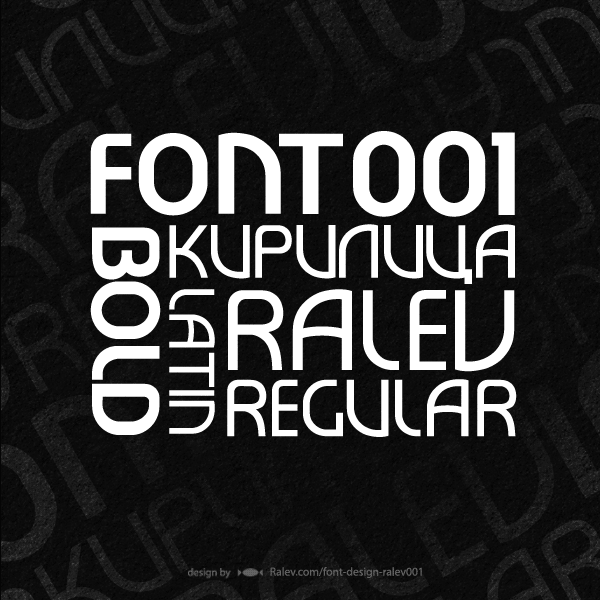 Ralev 001 is Ralev.com’s first official typo experiment – a sans Serif font design, created to be used for both English and Bulgarian writing. We at Ralev.com know it’s not perfect, but we love it and we want to share it with you. It’s free. Basically – you are free to use it, as long as you don’t redistribute and modify it.